The first large-scale map of Sutton was made in 1824 for the Enclosure Commissioner - all the fields were numbered in black ink, and the open commons shaded pink. The new roads and the plots of land were then marked in red ink. This shows what is now Walmley Village. Sutton Coldfield’s open common lands extended over three thousand acres, and various parts of the commons were named. The commons at what is now Walmley Village were called New Shipton Field and Bury’s Field, trackless wastes grazed by sheep. When the commons were enclosed provision had to be made for the rights of way across the common by setting out proper roads. Road no. 8 ran from Eachelhurst Common across Bury’s Field and New Shipton Field up to Reddicap Heath (now Eachelhurst Road and Walmley Road); no. 9 ran across Bury’s Field from Penns to Walmley Ash (Penns Lane and Walmley Ash Road); no. 10 from Thimble End across New Shipton Field to Walmley Road (Fox Hollies Road); and no. 11 from the track to New Shipton Farm across New Shipton Field to Walmley Road (Wylde Green Road). A surveyor was appointed to make these roads, each of them thirty feet wide from hedge to hedge, work which he completed in 1832 and which was inspected and certified by two Warwickshire Justices of the Peace, their certificate being enrolled at the Quarter Sessions at Warwick on July 3rd 1832 - it can now be seen at the County Record Office in Warwick. 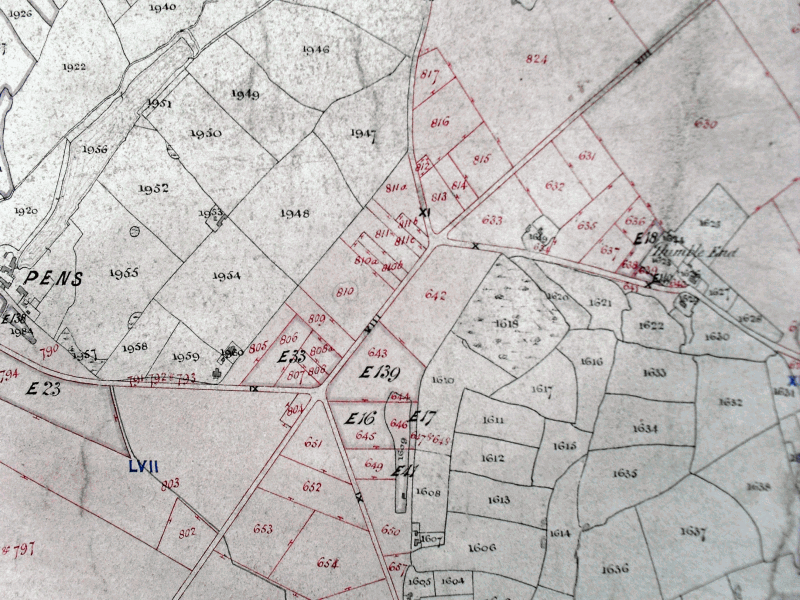 The commons were then divided up into fields and allocated to private owners, marked on the plan in red ink. Most of the plots in Walmley Village were allotted to Webster of Penns Mill and Chadwick of New Hall, but 810b, a half-acre plot on New Shipton Field, was obtained by Joseph Weldon - he built the Fox public house on this plot, the first building on the new road. Sutton was a large parish with a growing population, and in 1836 the Rector built St. James Church, Hill to serve the northern part of the town. At Maney Corner lived Lucy Riland, daughter of the old Rector, who then offered £1,000 towards the cost of a church for the south side. The Rector at the time, her second cousin William Riland Bedford, wanted the church to be sited on Birmingham Road, but Miss Riland said that was too far for the people of Wigginshill and Peddimore to go, and insisted on a Walmley site. The Corporation gave some newly-enclosed land on Bury’s Field, the Parsonage house was completed in 1843, and St. John’s Church was consecrated in 1845. In 1851 a new school was built next to the church, and the first houses appeared in the 1850s. Walmley Village seemed destined to grow at the same pace as Boldmere, but it suffered a setback in 1860 with the closure of Penns Mill, with its workforce of 200, and so the village remained a rural backwater well into the twentieth century. 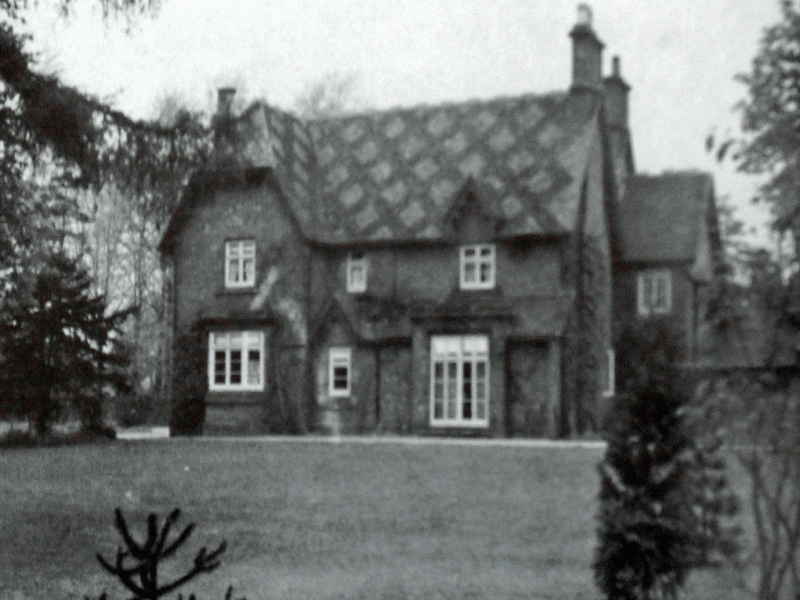 Walmley old Parsonage, demolished forty years ago.